…is when the candy goes on sale. During the spring/summer, the trees are full of leaves. Over time, those leaves begin to weigh down the branches, which aren’t all very strong. When the seasons change, the trees begin to release the leaves, creating a colorful blanket on the ground. Now imagine the tree as the spirit/body and the leaves as the burdens that weigh the spirit/body down. Do the trees feel as free as the spirit/body feels? I found a photo of leaves falling on the ground. My immediate thought was how the leaves represented the cycle of life. We’re born, we life, and we die (pardon the morbid thought). Instead of writing some drawn out post about life, I decided to post the following video. It’s a classic, I promise you. I’ve ignored the stress for a very long time, hoping it would just go away. Instead, the stress compounded, making it unbearable for me to function normally. The pot has boiled over. I’ve hit the wall. Something has to give. Change is necessary. On top of that, I don’t know what changes are needed for the stress to go away. For someone who loathes surprises, not knowing what’s next is quite uncomfortable. I’m not a fan of this part of the journey. I don’t have an issue with washing/drying laundry but I hate putting the clothes away. When the dryer buzzes, I take the clothes out and toss them across the bed. Yes, I could put them away at that point, but I don’t. I put the next load in the dryer and go back downstairs to do something else. Usually, I wash and dry 4-5 small loads of clothes a week. By the time Friday gets here, the pile is massive. I’m confined to sleeping on one side of the bed and that’s when I finally put the clothes away. Even though it irritates me, I don’t make the first attempt to fix it. What is your favorite last minute task? Cooler weather means I can break out my favorite boots. In past years, I was obsessed with Mahogany Leather by Bath and Body Works. It smelled like a man’s leather jacket. As soon as I declared my love for it, the scent was discontinued insert angry face here. 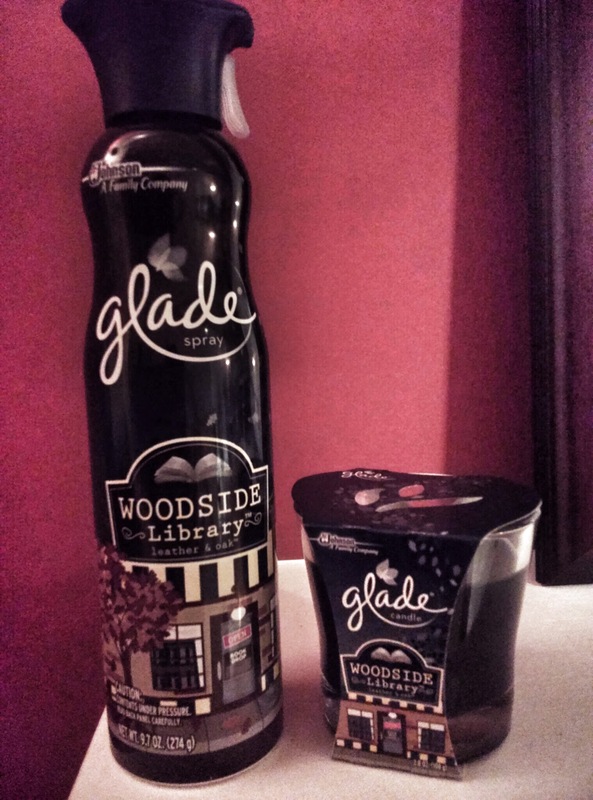 Just when I had given up, Glade restored my obsession with Woodside Library. If anyone is familiar with Mahogany Leather by Bath & Body Works, Woodside Library is a close match. It smells sooo good! 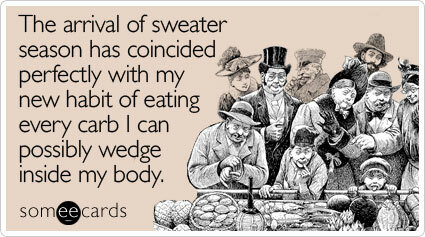 Perfect for someone who loves fall but don’t always want to smell pumpkin spice and/or apples. Woodside Library comes in a spray, candle, wax melts, and scented oil warmer. For my frugal folks, there are plenty of coupons online and in Sunday papers for Glade products. Save yourself some money while you’re buying fall smells goods. Disclaimer: This is not a sponsored post. All opinions are my own. Products mentioned were purchased with my own funds. One of my favorite chores as a child was raking the leaves. My mother hated when they would collect in the yard. She’d say that the leaves would hide the snakes. I’d collect the leaves into a pile and my mother would come out and set the pile of leaves on fire. I would later realize that there’s an emotional connection in burning negativity. There are times when I don’t necessarily have to verbally share my feelings/concerns. Some things are just internal matters that I need to work out. In those situations, I find it easier to express my feelings in written form. 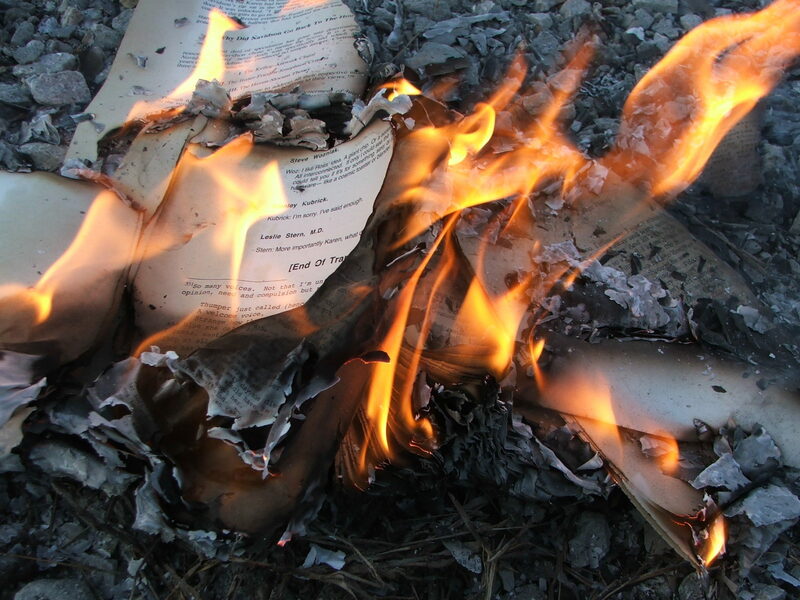 I write out my feelings, read it over, and then I burn it. Because when you burn something, all you have left are ashes. You can’t get whatever it was that you burned back. It frees me and I can move on with life. Try it for yourself and let me know if it works for you.